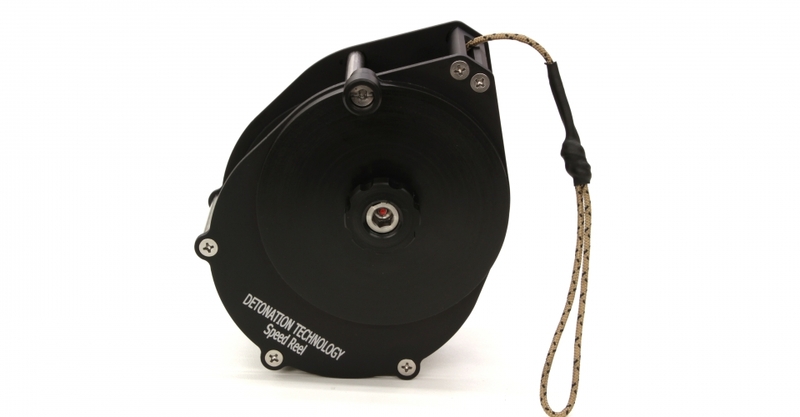 The Speed Reel provides a fast and tangle free way to set line for a remote pull. 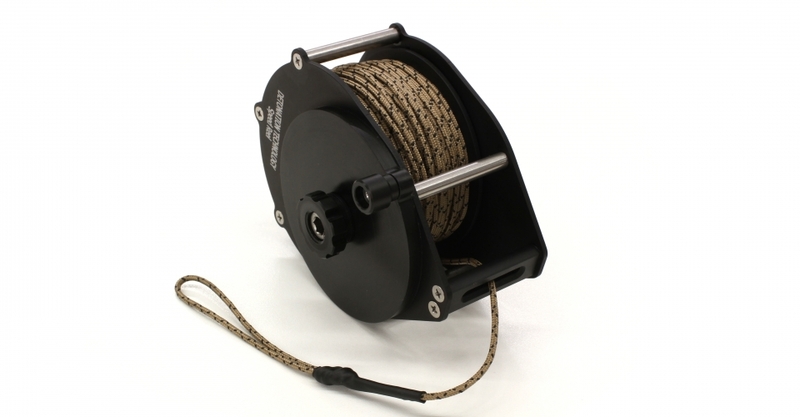 The reel holds 100′ of 2mm Kernmantle line, or 150′ of 1.75mm Dyneema line. The 2mm Kernmantle is standard, it’s significantly more durable and holds up to getting dragged around much. Or order without line and use anything you like. The handle is geared up with respect to the spindle, which allows line to be pulled in very quickly. The dimensions are 5-1/4″ long, 4″ wide, and 2-5/8″ thick, and weighs 14oz loaded with line. Materials are stainless steel, delrin, and aluminum, providing excellent corrosion resistance. So why not just daisy chain your line? After all, daisy chaining adds no weight, no bulk, is 100% reliable when done correctly, and costs nothing. When paying out the line a daisy chain is just as good as a reel, but what about recovering line? If you, as a dismounted Tech, have to pack up and move in a hurry the line will almost certainly be shoved in a dump pouch or cargo pocket. And the line will be useless in a follow on IED, because it takes ten minutes to untangle and re-daisy chain. And that’s why we built this reel. 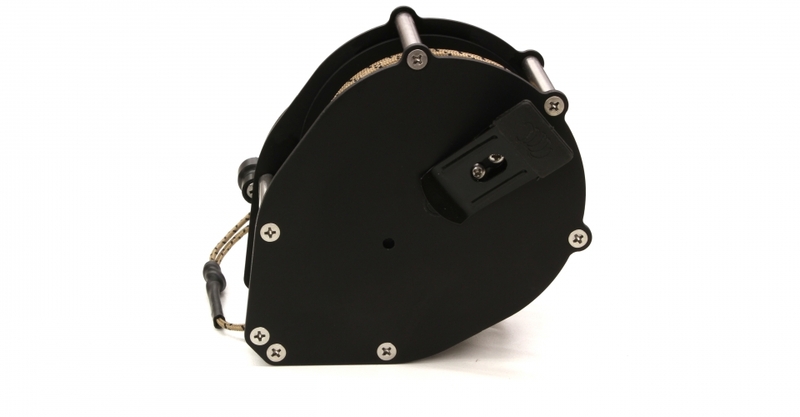 Gen 3 upgrades include a friction screw to keep the line from unspooling, and a spring clip on the back to keep your hands free while rigging. We have also moved to a 2mm Kernmantle line as standard, the 1.75mm Dyneema is still available by request (same price, the length and cost/ft balance out).